In my close association with the field of education in recent years, I have observed that while institutions are built on the pillars of faculty, research, infrastructure, collaborative and administrative strengths, it is affirmed that it is only a passion for excellence which elevates it to a high order. I feel greatly inspired when I see Pandit Deendayal Petroleum University evolve into an institution which can hand-hold students through a transformational journey where knowledge is acquired while nurturing excellent human values, where learning has moved beyond the classroom - all proving to be priceless assets in one’s professional life. As citizens of this great nation, and as part of a greater world order, where socio- economic dynamics are undergoing rapid change, and the fact that India’s youth will increasingly play a key role in the global scheme of things, I can sense great optimism in the air. It is here that PDPU’s holistic education philosophy across the programs of management, engineering and liberal arts proves crucial for it helps to create a fine talent pool that can make a vital difference in the way they address their professional roles. My best wishes to all of you and I hope that the corporate world will respond with great enthusiasm on assessing your professional capabilities. Dr. Mukesh D. Ambani is a Chemical Engineer from the University of Bombay and pursued MBA from Stanford University, USA. He is the son of Shri Dhirubhai H. Ambani, Founder Chairman of the Company. Dr. Ambani joined Reliance in 1981 and initiated Reliance’s backward integration from textiles into polyester fibres and further into petrochemicals, petroleum refining and oil and gas exploration and production. In this process, he directed the creation of several new world-class manufacturing facilities involving diverse technologies that have raised Reliance’s petrochemicals manufacturing capacities from less than a million tonnes to about twenty million tonnes per year. Dr. Ambani directed and led the creation of the world’s largest grassroots petroleum refinery at Jamnagar, India, with a current capacity of 660,000 barrels per day (33 million tonnes per year) integrated with petrochemicals, power generation, port and related infrastructure. He had set up one of the largest and most complex information and communications technology initiative in the world in the form of Reliance Infocomm Limited (now Reliance Communications Limited). 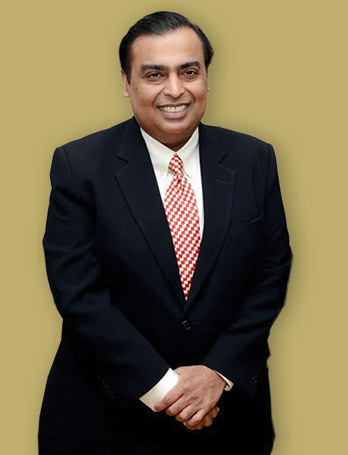 Dr. Ambani is also steering Reliance’s initiatives in a world scale, offshore, deep water oil and gas exploration and production program, setting up of a second petroleum refinery at Jamnagar, development of infrastructure facilities and implementation of a pan-India organized retail network spanning multiple formats and supply chain infrastructure. Dr. Ambani is the Chairman of Reliance Petroleum Limited and Reliance Retail Limited and a Director of Reliance Europe Limited, and Pratham India Education Initiative.